After missing 13 games last season after back surgery, J.J. Watt relishes any chance to compete. So Houston's star defensive end was positively giddy on Tuesday after he and the Texans had the first of two joint practices with Tom Brady and the New England Patriots. "It's always good to go out there and get some reps against somebody of that caliber," Watt said. "It's a lot of fun. Anytime you put two good teams together on the practice field and get great reps like we had today, you're going to get better." The defending Super Bowl champions came to West Virginia for the week to prepare with the Texans before the teams meet in the second preseason game on Saturday night in Houston. They worked for about two hours together on Tuesday amid light to moderate rain showers. Both teams believe these practices are a valuable tool for preparing for the season and breaking the monotony of training camp. "That's the great thing about these practices ... that you have an opportunity to get out of training camp," New England receiver Julian Edelman said. "It's almost like when you're in school and you go on a field trip. You may be learning things, but it's like 10 times better than being in class." Texans quarterback Tom Savage was excited to get some work in against another defense and also had fun being on the same field with Brady, whom he called "the greatest quarterback of all time." "What's better than that ... even though I'm a starting quarterback in this league, I'm still a fan of this game," Savage said. "It's fun to watch." 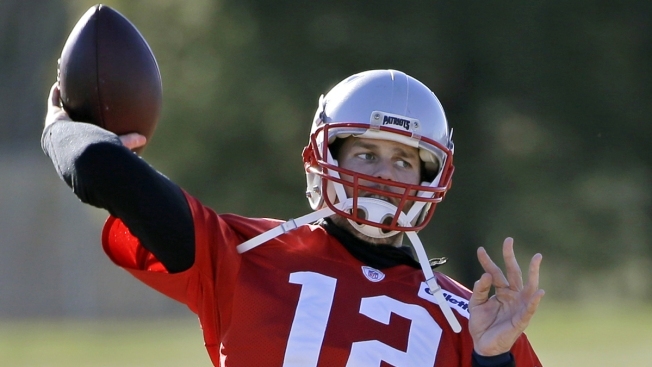 Brady didn't speak to reporters on Tuesday, but he didn't seem to enjoy the practice quite as much as many of the players did. He barked at his teammates after some less-than-stellar plays during the practice, but the Patriots didn't seem to mind. "When you've got a leader that wants to go out and practice at the ultimate, highest level, when something that you should do doesn't go right, there's going to be a little fire under that and that's what you need from your leader," Edelman said. "That's just Tommy being Tommy." Tuesday was also a chance for New England coach Bill Belichick to reunite with Houston coach Bill O'Brien, who was an assistant on his staff from 2007-11. He also got to catch up with Houston defensive coordinator Mike Vrabel, who played for him from 2001-08 and offensive/special teams assistant Wes Welker, who spent 2007-12 playing for the Patriots. Belichick was very complimentary of O'Brien and two former players who have joined him in Houston and added that he knew Vrabel would end up in coaching. "The program has gotten stronger every year," Belichick said. "I'm sure they're continuing to head up. We have a lot of respect for Bill and his coaching staff, this football team, the program he runs -- a tremendous amount of respect." O'Brien, whose first NFL job came when he joined Belichick's staff as an offensive assistant in 2007, appreciated the praise from his former boss, but was more concerned about his team on Tuesday than walking down memory lane. "Bill's been a great friend of mine, a mentor," O'Brien said. "I owe a lot to Bill. He's a great football coach and they have an excellent football team ... but I think the big thing today was just the work that we got." "I thought we really worked well together with them. Our practices are similar, our tempos are similar. So we really got a lot out of it."